We’re attending the Leadership Roundtable presented by the Canadian Self-Regulation Initiative, (@CSRI_SelfReg), “Building School Capacity to Support Student Success: Creating Quality Learning Environments Through a Self-Regulation Lens,” on October 23, the Provincial Professional Day. We’re looking forward to a day of shared learning on exploring meaningful change and the best teaching practices, supported by emerging research, in the area of self-regulated learning environments. We’ll be tweeting from @selfregteacher throughout the day to keep you informed. Well, we’re back again to talk about garbage and waste management in the classroom. This is an updated version of our original post, Waste Management, Kindergarten Style. We find ourselves thinking and talking a lot about garbage because we do create some in our classrooms. Nothing unreasonable, but certainly enough to give us pause and remind us to address this always timely topic. For parents new to Ridgeview, here’s a brief overview of how we handle garbage at our school focusing specifically on the Kindergarten. When we returned to school in September 2014, West Vancouver Municipality, like the rest of Metro Vancouver, had declared anything from plants and animals (and biodegradable) to be considered as organic waste and not garbage. Therefore, organic waste must be separated from the regular garbage collection. Similar to last year, we have 21 students in each of our Kindergarten classrooms, eating two to three times a day when you consider snacks and lunch. However, we have increased the number of packaged hot lunches from four to five times a week this school year. As you can imagine, we create a fair amount of waste. As experienced teachers, Christy and I know, and greatly value, the importance of routines. We cannot underestimate the power of how routines will affect us in our daily lives, from our organization, ability to be productive to our sense of accomplishment. For our students, having routines provides them with a feeling of security, increases their confidence and contributes to their overall happiness and independence when they can say, “I know what to do and I can do it by myself!” Truly, that is the sweetest song for their ears and our own. So when we start any routines with our new class each year, we want to ensure we’ve done it right. 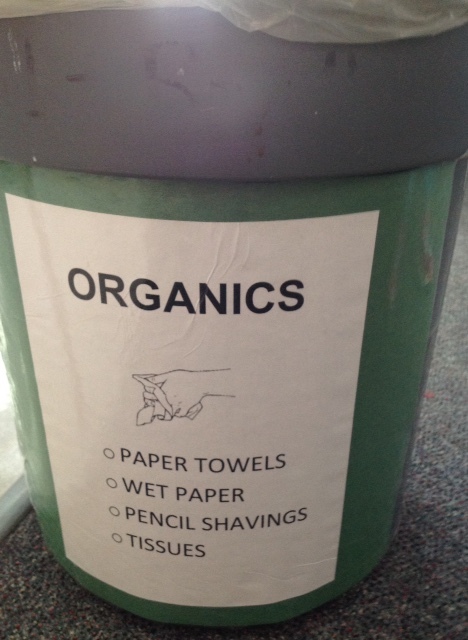 It is an expectation that our entire student body at Ridgeview, from Kindergarten to Grade 7, learn to separate organics, dry paper recyclables, and garbage/waste items at school. Under our Principal’s leadership, our school has implemented three main systems in our classrooms: an Organic Waste can, the blue Recycling Bin and a Pack In/Pack Out Initiative for recess and lunch. developing independence and looking to the other students if they are uncertain about what to do. 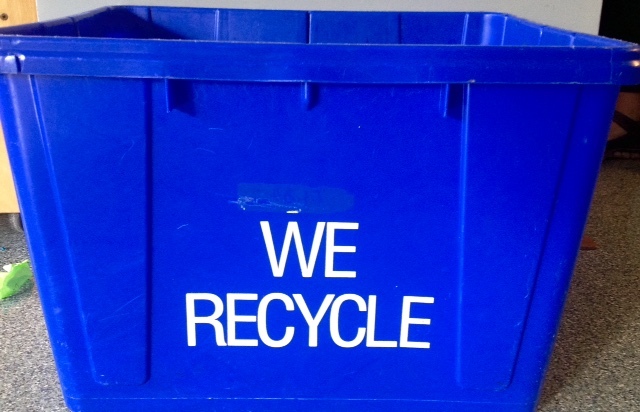 We’ve noticed the children are very used to the blue recycling bin. So much so that they are often asking if they can put plastic containers in it like they must do at home. Unfortunately, we cannot do that at school. It’s only for dry paper, paper scraps, and charts we’ve finished using in class. This has been the most challenging of all the waste management initiatives because it’s one where all of us must work together. Students are responsible for all food items that they bring into Ridgeview. Essentially, any waste our students create from the food they’ve packed into school (food packaging, peelings and cores, napkins, leftover food) must be packed out at the end of each school day. All waste must go home to be sorted. 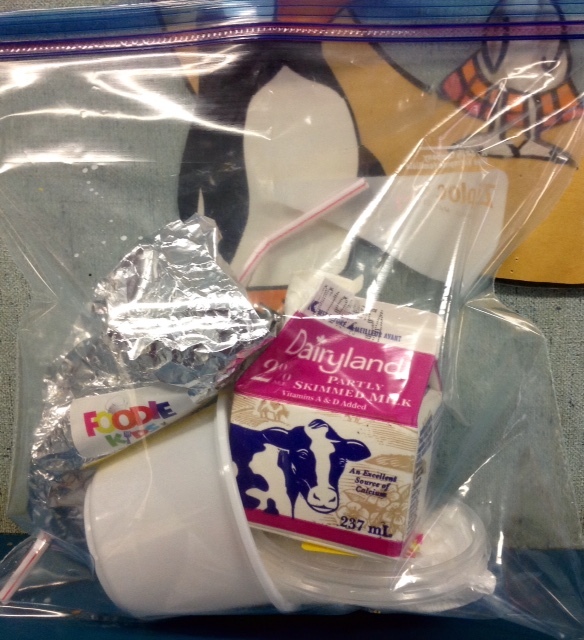 We need you, the children’s parents, to support your child (and the classroom and school routines) by sending a ziploc, or plastic bag, everyday to school for your child’s pack out. Some parents have arranged with their children to simply put the food waste and packaging from the day’s food loose in the lunch kit and so far, that seems to going well. 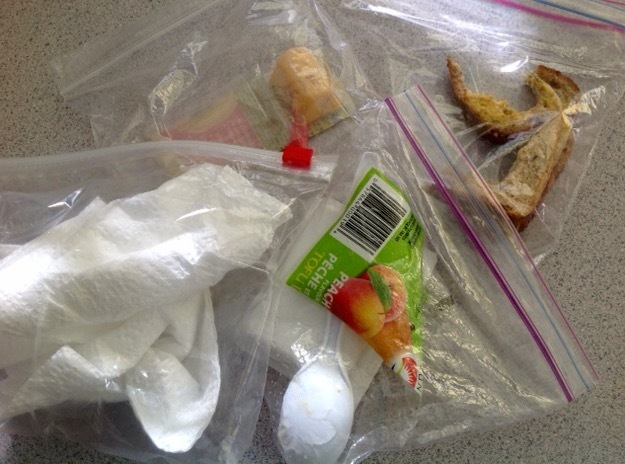 If you do not send a lunch kit to school with your child, then you must send a ziploc or plastic bag for the food waste. 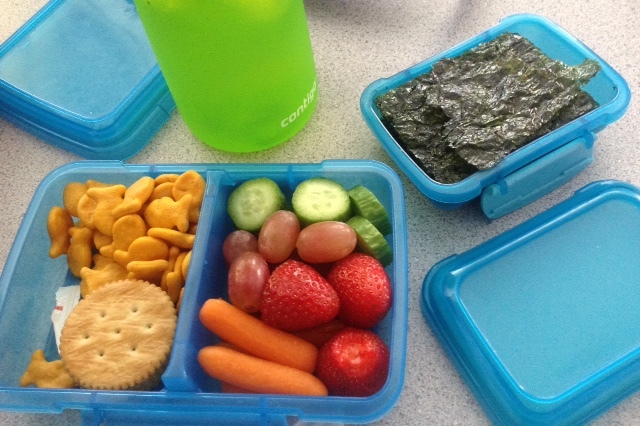 Other parents send snacks and lunch in reusable containers, thereby eliminating the food packaging, and any uneaten food stays in the container. Here’s what your children are doing with the pack out of the food waste and packaging. We have to say that the Kindergarten children have taken quickly to this system and are very proficient at getting their food and packaging waste into the ziploc. They have shown considerable improvement at getting the bags “zipped” closed. The Hot Lunch days have proven to be trickier. There is a lot of packaging associated with this program. As you can see, sending your child with a large ziploc is better if he or she receives a hot lunch. Food containers and paper wrapping are sent home everyday. TCBY frozen yogurt and Max Frozen fruit bars, if not finished, are disposed of in the sink, and the packaging sent home. Milk cartons, juice boxes and soup containers, if not finished, are disposed of in the sink, and the packaging sent home. If the soup has not been open, and your child brought a ziploc bag, we try to tape the container closed and place it in the bag to go home. We’re extremely proud of the Kindergarten. The children know their lunch routines well; they know them as the only way to manage their food waste at school. The Kindergarten is also the only grade in the entire school which does not have to change habits of old because they are able to start fresh every year. Change is healthy, but we all know change can be hard as well. Therefore….we won’t comment specifically on how the teaching staff is coping with food waste and sorting in the staffroom, but let’s just say that old dogs can learn new tricks….albeit slowly.